The Sting Ray Hybrid is the lightest injection molded kayak paddle available at its price point. 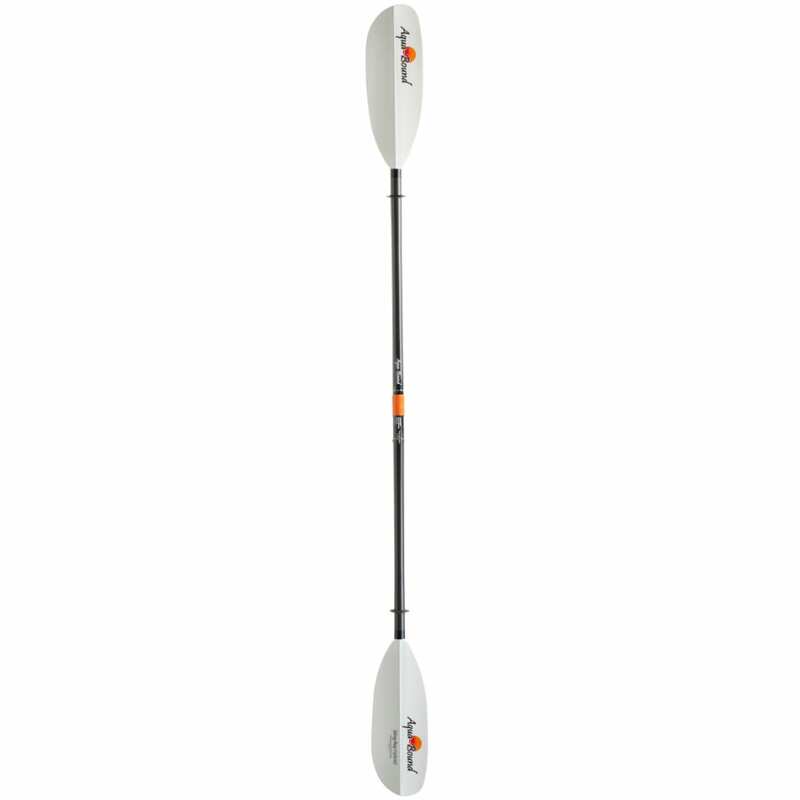 With its mid-sized blades built of exclusive Aqua-Bound abXII resin reinforced with fiberglass and its all-carbon shaft, this paddle reduces fatigue and joint strain for flat-water paddlers. The Posi-Lok® features strong, corrosion-free composite construction, convenient dual-button release, and infinite feathering angles. Licensed Ferrule US Patent No. 6,881,111. A touring star that combines the best of fiberglass and carbon.